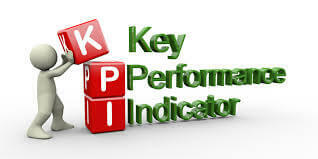 Key Performance Indicators (KPI’s) can be of extreme usefulness to management as well as rank and file. In fact, almost any item can be turned into a metric and measured. But when are too many KPI’s detrimental? Additionally, can there be wrong Key Performance Indicators or unfair Key Performance Indicators or metrics whose goal can’t be met? One could literally have thousands of Key Performance Indicators. Think about a company that sells items. Every SKU is its own metric. Each product group or type. A metric on customer, customer type, customer location, salesperson, receivables and payables and the list can go on and on. Let’s not forget the plethora of financial key ratio’s, which are themselves KPI’s. Then of course we have metrics related to production, employees, vendors, budgets, taxes, revenue streams and an on-going joke on the long-running TV series M*A*S*H, toliet paper. So how many are too many? This is one of those trick questions. It all depends. While the company may in the aggregate use let’s say 500 different indicators, the CFO may only use 18, the CEO uses 12, and the COO 15. But each salesperson may use more and of course the inventory planner uses metrics on each item they are responsible for purchasing. The real answer is what is the value that the Key Performance Indicator brings to the reader of that indicator. From the CFO’s standpoint I’m interested not only in revenue, but cash flow. So I want to know inventory levels and direction, cash (which is king), receivables and sales orders, payables and purchase orders so I can see burn and figure out if we are running out of runway. Maybe these are my daily KPI’s, built into my dashboard. Obviously on a monthly basis I’m look at additional metrics. Sales figures by different parameters, receivable and payable aging, budget variances. I’m sure the COO is looking at some of the same inventory metrics as I, but that person is looking at a broader view of operational indices. Each individual will look at the metrics that help them do their job. The major question that needs to be asked is this: Does your ERP system track the data you need to create that indicator? If it doesn’t how are you going to obtain your data? At first glance one would assume metrics are some value or a product of values compared to some absolute or goal. How could they be unfair? The goal itself could be unfair, but that wasn’t really the question. The question was could the KPI be unfair. The answer is yes. A metric can be devised where apples and oranges are being compared. The two items are disparate and have no direct relationship to each other. You sell two product lines to two totally different set of customers. Customer set A would never buy product B. It would be illogical for them to do so. Same with Customer set B. They would never buy product A. But you have a metric comparing the two. Is it fair? Depends how you use it. If you are comparing sales, the only conclusion is that one group is outselling the other. You might surmise that the marketing of one group or the other is better, but given two different customer sets, that may or may not be the answer to the disparity in sales. The products could be at different price points, the market share could be different. The markets are different, so could the demographics of the customer set. On the other hand a comparison of Gross Profit Margin would be fair. Percentage of sales or profit brought into the house. Cost of supporting those sales, etc. But any further decision on those valid comparison must be made in the potential of those individual markets. While Product line B may be bringing in lower profits it may be primed to expand the product line and eclipse Product line A. In other words, don’t use two-dimensional observations when look at KPI’s. When you set up and interpret your Key Performance Indices, look past the obvious, especially if the KPI is being used as a comparison object.